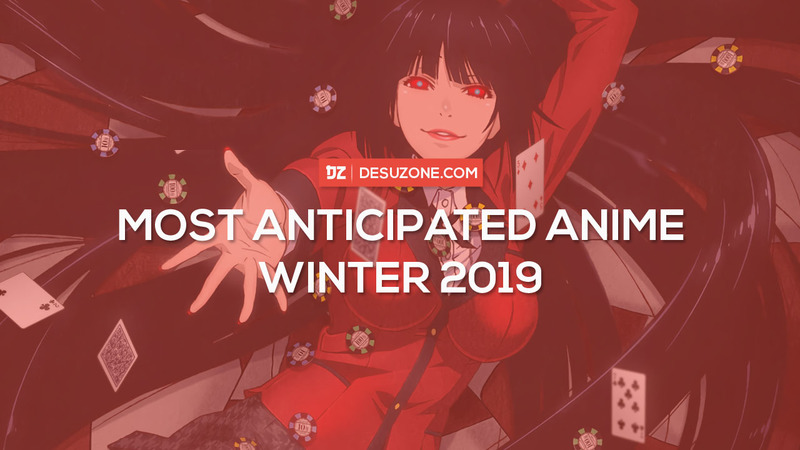 Top 20 Most Anticipated Winter 2019 Anime Series (Charapedia) – Desuzone '+g+"
Winter 2019 is coming! 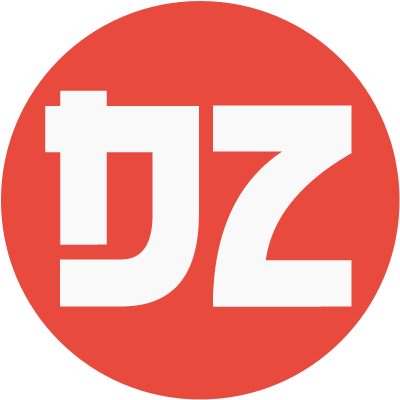 Like usual, Charapedia make poll for the most anticipated winter 2019 anime to Japanese fans. 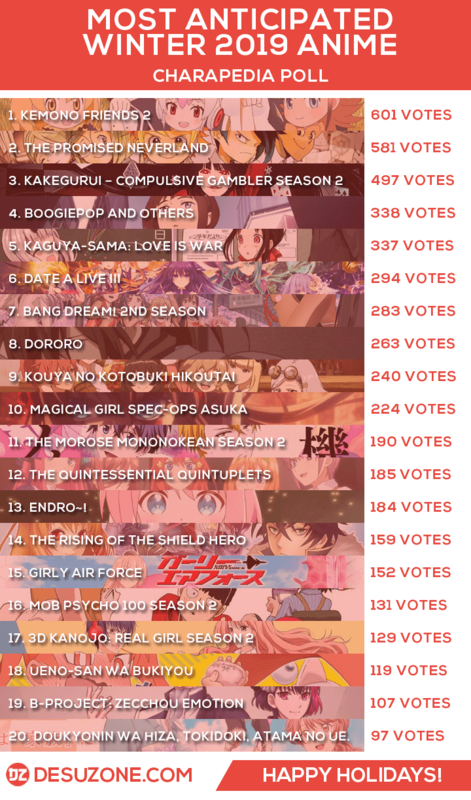 The sequel of Kemono Friends ranked first in their poll, while Mob Psycho Season 2 didn't even make it to the top 10.